The United States on Monday launched challenges at the World Trade Organization to hit back at the major trading partners who have retaliated against President Donald Trump's tariffs on metals and goods from China. Washington opened separate disputes against China, the European Union, Canada, Mexico and Turkey, challenging the counter-tariffs they have since imposed on American farm exports and machinery, the office of the US Trade Representative said in a statement. Despite outrage from EU, Canadian and Mexican authorities, the White House says alleged unfair trade by these economies justifies Trump's stinging tariffs -- but retaliation is not. "The actions taken by the president are wholly legitimate and fully justified as a matter of US law and international trade rules," US Trade Representative Robert Lighthizer said in a statement. "Instead of working with us to address a common problem, some of our trading partners have elected to respond with retaliatory tariffs designed to punish American workers, farmers and companies." 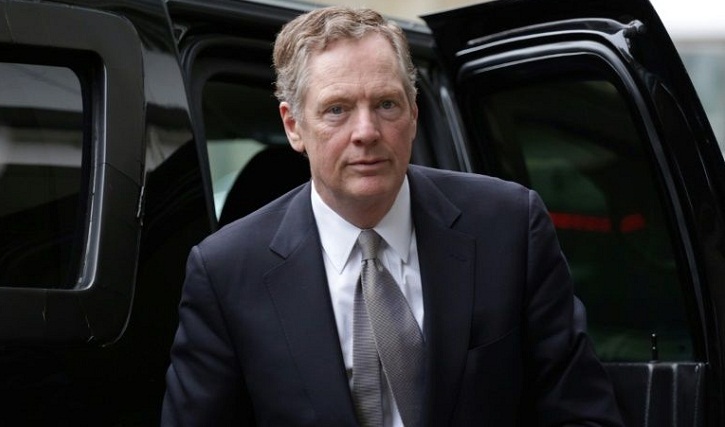 Lighthizer said the counter-tariffs breached the member states' WTO obligations. Since March, Trump has ratcheted up pressure on China and traditional allies, imposing tariffs on scores of billions of imports in steel, aluminum, washing machines, solar panels and broad swathes of Chinese manufactured goods and machinery. According to the US Chamber of Commerce, retaliatory tariffs on US exports -- targeted to cause pain in the voting areas on which the governing Republican party relies heavily -- now cover about $75 billion in American exports. Trump this month responded to Beijing's retaliatory duties on American goods by formally beginning a process which could see tariffs imposed on an additional $200 billion in Chinese imports.